Peckett No. 1900, believed to be Britain's smallest standard-gauge steam locomotive, was built to the order of Courtaulds Ltd. in 1936 at a cost of £840. Courtaulds' plant at Flint in North Wales was split in two by the LMS Chester to Holyhead railway, and the rail link between the two parts via a very low tunnel through the main-line embankment. It was for this reason that such a small engine was required. No. 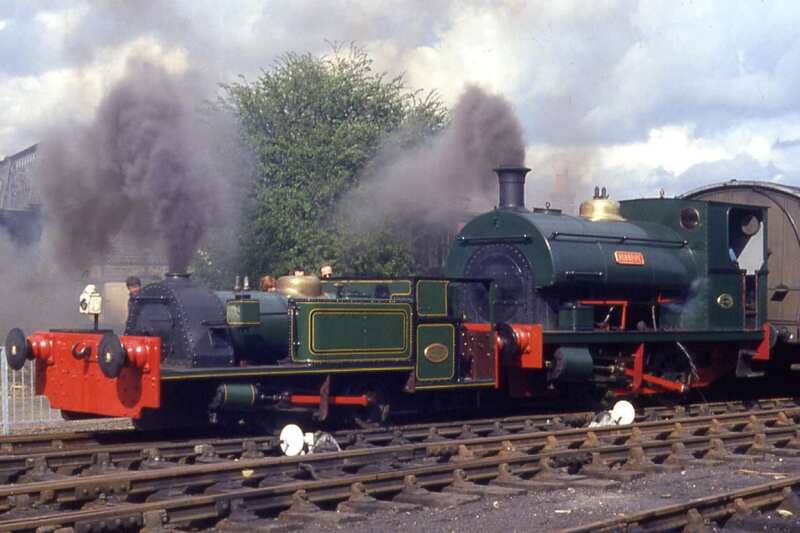 1900 is the only one of its type, but Peckett still managed to incorporate a few of their standard parts, some of which came from narrow-gauge designs. The eleven-ton loco's main duty was the shunting of wagon loads of waste, from the Rayon fibre manufacturing process, out of the plant and onto the sea wall from where it was dumped. There were, however, fears about the safety of this operation. The tunnel was in the dip of two very steep inclines and No. 1900 had to work flat out down one side in order to gain sufficient momentum for the climb up the other! Quite rightly the works management were worried that somebody might be injured during these helter skelter proceedings. So eventually, 1954, No. 1900 was replaced by two engines, one on either side of the tunnel, the wagons being worked by a rope between the two. Made redundant from Flint the loco was returned to Atlas works for an overhaul, during which it received a new firebox, before being sent to Courtaulds' Grimsby plant. Here an extension was fitted to the cab and the engine was set to work on construction trains. When the factory was completed Courtaulds took delivery of a Sentinel locomotive and No. 1900 was kept as a spare. Courtaulds last used it in the early sixties and it then lay in store until purchase by a QRS member. The locomotive was brought to Quainton in September 1971, and restoration commenced. For a while whilst at Quainton, the locomotive was named Jill. However before work was completed the loco was sold to another member who completed the overhaul. At the same time the opportunity was taken to remove the unslightly cab extension. During 1980 the engine returned to service and fitted with vacuum brakes, it was employed on lightweight passenger trains and demonstration freight trains. 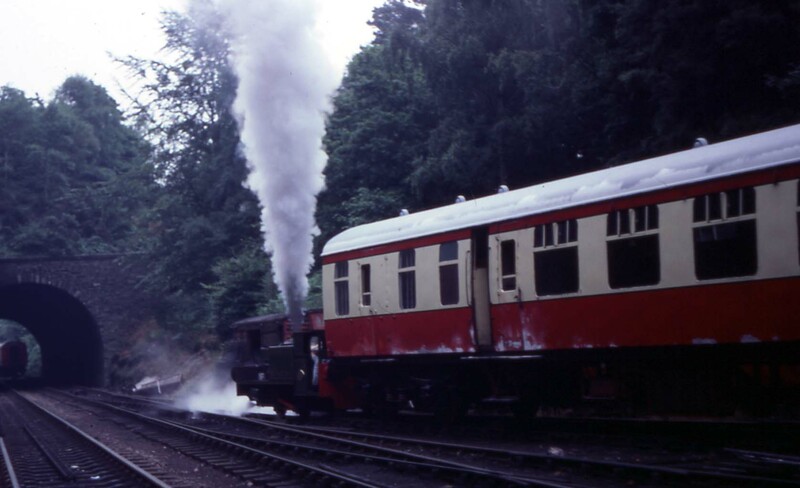 The locomotive spent the summer of 1983 on the shores of Windermere - working on the Lakeside and Haverthwaite Railway. It was the Cumbrian line's tenth anniversary and the L&HR invited No. 1900 to take part in special events. Here it completed 35 miles on light passenger service (with thanks to Alan Middleton's L&HR locomotive mileage records). On the way home the tiny locomotive visited Steamtown Carnforth and spent two months in the company of such engines as Flying Scotsman and Lord Nelson. During 1985 No. 1900 was invited to visit Chatham Dockyard by the North Downs Steam Railway. No. 1900 left Quainton in November 1985 for a NDSR event in late November, with another open day in the Spring prior to 1900's return to Quainton. However, prior to that event NDSR's tenency at Chatham Dockyard expired, so the Spring open day did not occur. No. 1900 was steamed again for the NDSR members before its return to Quainton. After a number of years operation the locomotive's boiler ticket expired, and also required further major work. It is now undergoing its second major overhaul in preservation. On the 29th April 2014 a major step forward was taken with the frames being rewheeled. With its diminutive size, it is known to many as The Flying Bufferbeam, though for a while at Quainton it had been named Jill. Full details of the locomotive's current overhaul may be found on its own facebook site. Tractive Effort :- 4, 876 lb Boiler Pressure :- 180 psi Cylinder Dimensions :- 8" x 12"